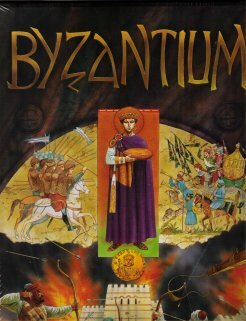 Byzantium is a game that I had a hard time getting my head around when I first tried it - it is a war game, where you play both sides of the conflict, and where your major influence comes from cubes? But after a few games, things become clearer, and Byzantium reveals itself as a great tactical game of ressource management with several paths to victory. Byzantium feels different from any other game I've played and I'd recommend it to anyone up for a new experience - but give it more than one play before forming an opinion, it really grows on repeated plays.